No Aspect of the Advertisement Has Been Approved by the Supreme Court. Better Business Bureau (BBB). The Better Business Bureau ensures that high standards of trust are set and maintained by businesses in the South Jersey area and serves as an unbiased source to guide both consumers and businesses on matters of trust. New Jersey attorney John F. Renner upholds the BBB accreditation standards and is committed to acting in accordance with their ethical practices. Having a BBB accreditation is an honor. Businesses must meet high standards and are invited to join by the BBB. New Jersey criminal defense lawyer John F. Renner is accredited with the Better Business Bureau with an A+ rating. 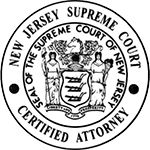 The Board on Attorney Certification was established by the Supreme Court of New Jersey in 1980 for the purpose of helping consumers find attorneys who have a recognized level of competence in particular fields of law. Attorneys may be designated by the Supreme Court as "certified attorneys" if they: are able to demonstrate sufficient levels of experience, education, knowledge and skill in a specific area of law or practice; have passed a rigorous examination; and have been recognized by their peers as having sufficient skills and reputation in the designated specialty. This honor is given to New Jersey attorney John F. Renner for demonstrated level of experience, education, knowledge and skill in criminal trial practice to hold the designation as a specialist within the criminal practice field. Courier Post Reader’s Choice 2017- Best of South Jersey. Avvo is a national internet organization that rates attorneys throughout the country. Avvo’s rating system reviews an attorney’s background‚ years in practice‚ disciplinary history‚ professional achievements‚ and industry recognition. Avvo periodically collects background data from a variety of sources‚ including state bar associations‚ court records‚ lawyer websites‚ and other sources. Criminal trial attorney John F. Renner is achieved the highest 10/10 “Superb” rating. 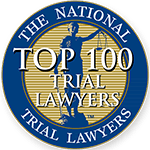 The National Trial Lawyers: Top 100 is an invitation-only organization composed of the premier trial lawyers from each state or region of the United States who meet stringent qualifications as civil plaintiff and/or criminal defense trial lawyers. Selection is based on a thorough multi-phase objective and uniformly applied process which includes peer nominations combined with third-party research. Membership is extended only to the select few of the most qualified attorneys from each state or region who demonstrate superior qualifications of leadership, reputation, influence, stature and public profile measured by objective and uniformly applied standards. Only the top 1% of attorneys are selected to be a part of this prestigious organization. Attorneys must be nominated and demonstrate a high standard of professional excellence that takes into consideration peer reviews, legal knowledge, trial experience, accomplishments, reputation, and community involvement. 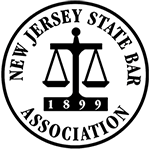 The NJSBA is a voluntary organization of over 18,000 members in the legal profession. We also educate the public to enhance awareness of the legal system. The philanthropic arm, the New Jersey State Bar Foundation, provides free legal resources to the public and for educators and students.